Did you hate it when they taught outlining in school? The teacher went on and on about where the Roman numerals went and whether this line should have a capital letter, a lower case letter or an Arabic number. I hated it. I think a lot of other people did too. I was speaking to a group of people this weekend who were in the process of writing family history books. I asked how many had an outline for their book. Only about a third did. Too bad! What they were doing was letting straight chronology lock them into the way they told their story. More importantly, by being guided solely by chronology they were risking taking only a superficial look at the events they were describing. Deeper insights that reflection on those events might have produced went by the boards. The result was almost sure to be strictly reportorial rather than dramatic. Developing a good outline (not the one you learned in school, but a well thought out plan of major topics and subpoints) before you begin to write allows you to discover ways to engage your readers that aren’t immediately apparent when looking at the facts you know. Experimenting with different ways of telling your story can help you to discover new insights into what happened and to show them to your audience in a more interesting way than a plodding chronology can ever do. Let’s look at some. Sometimes there are exceedingly brief periods which determine a long future, A moment of time holds in solution ingredients which might combine in any of several or many ways, and then another moment precipitates out of the possible the at last determined thing. …the book can be regarded as the chronicle of a turning point in American destiny within the limits of one year. 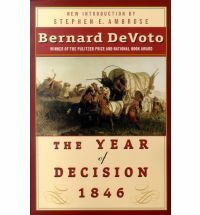 Through this lens readers realize that the diverse events and individual actions in the book should be viewed collectively as a turning point in American history after which the Civil war was inevitable. Let’s turn to a completely different genre to see another way you might use events of a single year. Former baseball manager Tony La Russa, and his collaborator Rick Hummel, in One Last Strike: Fifty Years in Baseball, Ten and a Half Games Back, and One Final Championship Season employ the dramatic events of the 2011 major league season in which La Russa’s St. Louis Cardinal team stage a miraculous, late season comeback to make the playoffs as a wild card team and eventually win the World Series as a foreground. 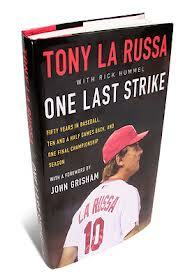 But in the background the book is a memoir of La Russa’s fifty year career in baseball which will almost certainly earn him a spot in the Hall of Fame. The narrative moves back and forth zooming in on details of the pennant race and moves back to pan across the years of managerial experience it took to get there. 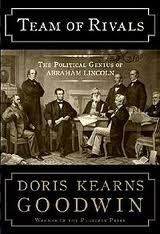 Doris Kearns Goodwin employs another way to deal with chronological events in biography Team of Rivals: The Political Genius of Abraham Lincoln the book on which Spielberg’s movie is based. Rather than simply recounting the events of the Lincoln administration, she highlights the president’s consummate skill as a politician by comparing and contrasting the way he enlists the support and later earns the loyalty of Salmon P. Chase, William H. Seward and Edward Bates, all of whom had been his rivals for the Republican nomination for the presidency in 1860. By focusing on the way in which Lincoln persuades each to serve in his cabinet and help him guide the nation through its greatest crisis Goodwin is able to show a side of the president with which most people are not familiar. In all three cases the authors planned to focus on a series of chronologically organized events. But, before they began they decided how to present the facts at their disposal in the clearest, most interesting most dramatic way they could. The result in each case was a far better book than a straight chronological recitation could have produced. The thinking necessary to decide upon any of these approaches can be achieved in a good outline.b Using your outline to tinker with the many ways you might present the factual events in your book to engage the reader and improve her reading experience will help you make sure you don’t lock into an organizational play too soon only to be left, when your book is finished, with one that is less clear and enjoyable than it could have been, not to mention the possibility that you will miss completely insights you might have gained by looking at the facts from several perspectives before you begin drafting. Publish Your Family History Book: Paper or eBook?